We are an independent media channel established in Bulgaria around 2005 that aims to represent punk rock's creative, radical politics and community-based values. 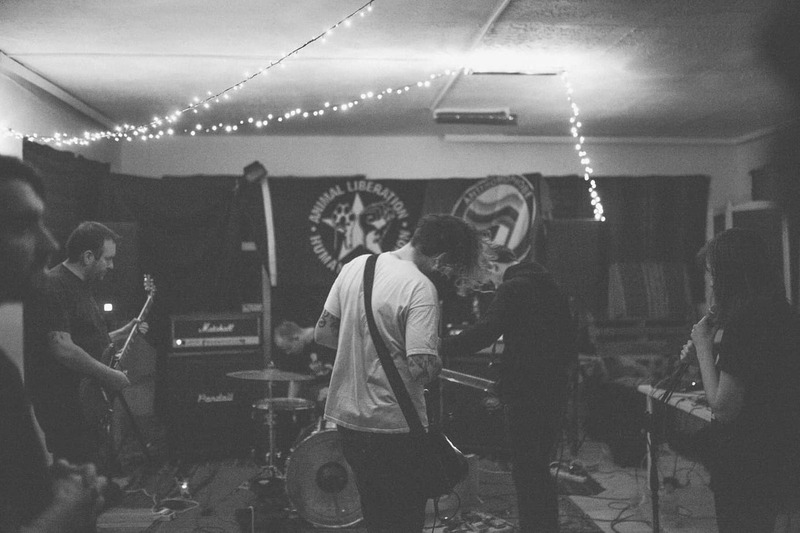 We see DIY punk as an autonomous, ever-evolving-in-its-anti-oppression-ideals, genuine community, which lets us live our lives to the fullest of possibilities. Over the years, we have published hundreds of music, book and zine reviews, exclusive band interviews, streams, DIY scene reports, and columns by contributors from all over the globe. We’ve done this all by ourselves, just the few of us and our punk-rock passion. If you appreciate our work, consider helping our site continue to exist. We hope you'll pledge to support us with a few bucks a month on Patreon. If you'd prefer to donate directly via Paypal, please click here. If you have any other ideas how to keep us afloat, don't hesitate to get in touch. Besides creating content for our website, we are also booking shows for international musicians and artists touring Europe. We have close connections with DIY promoters around the world and we book gigs for artists who we want to bring over & see live in Bulgaria. Proudly losing money for the sake of dedication, we give everything to the touring artists. Most of the shows have no entry at the door, but a donation jar where everyone's free to give whatever the heck they want. Our biggest and far fetched goal is to have our own backline/equipment and eventually organize an annual DIY fest in Bulgaria, bringing international bands, vegan stalls and radical politics at one place, like some of our favorite festivals world wide. Our challenge is to continue writing quality content for DIY Conspiracy while also maintaining a fast-loading, visually compelling website that inspires people. That means we have to pay hosting and web service costs on a regular basis. Booking DIY gigs in such a small environment as the Bulgarian DIY scene can also be difficult at times, especially when it comes to renting gig equipment, accommodating and cooking (vegan food) for musicians, paying gas money, or financing any other arrangements we have with touring bands. Enter Patreon, a service that allows users to support independent projects like ours by pledging a recurring monthly contribution of their own choosing, from each according to their ability. If you'd like to support our project, all you need to do is choose an amount. Any contribution, great or small, is kindly appreciated! Think of it as buying a friend a falafel every now and then—except we’ll spend the money on covering our hosting & domain bills, cultivating a DIY community in our hometown and cooking delicious vegan food for touring bands. Since December 2018, we have seen a massive growth in traffic to our site. That's a wonderful news for sure, but it also means that our shared hosting plan can no longer sustain our traffic growth. Currently, we need around $100 per month to keep the site online.